With the visual inspection and blower door test complete, you should have a pretty good idea of how much impact leaks are having on your energy use and comfort. Now what? You're probably wondering: "With so many leaks to plug, where do I start?" Don't worry. We've got you covered. Here at Shepherd's Insulation, we take a simple, common-sense approach to air sealing your home. Call us at 1-844-619-6803 or click the button below to get a free quote for the home energy improvements you need. 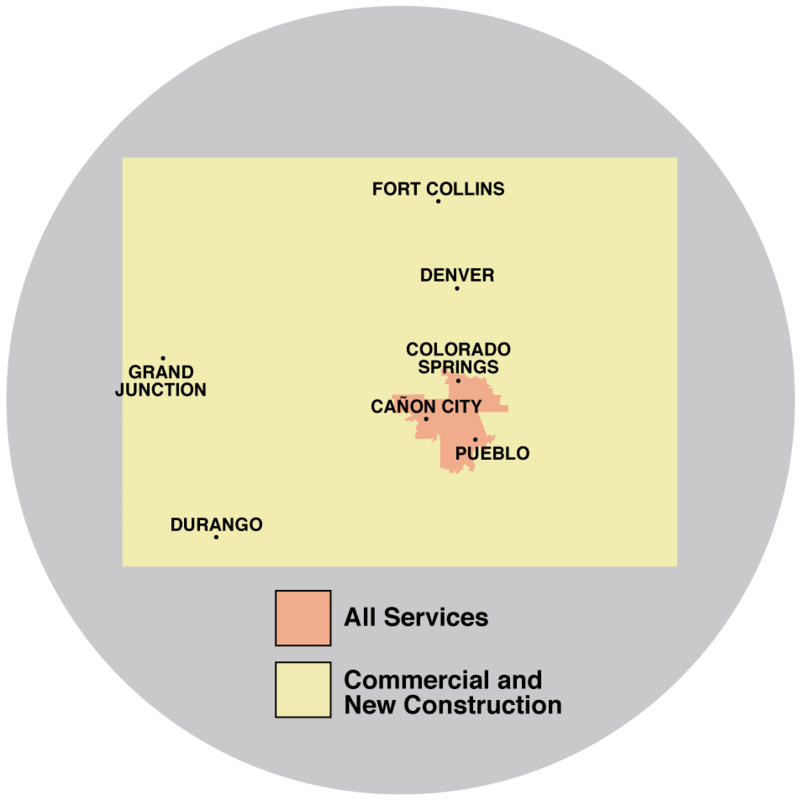 We offer all our home energy services in Colorado Springs, Pueblo, Canon City and the nearby areas. Contact us today at 1-844-619-6803 to get a quote in Fountain, Florence, Penrose, Cascade, Manitou Springs, Rush, Yoder or any surrounding area. Shepherd's Insulation specializes in a variety of air sealing strategies that will keep your home airtight and energy efficient.